Â Â Â Kin Israel R. Notarte, a graduate student under the MS Microbiology Program of the University of Santo Tomas Graduate School, attended the recently concluded Novartis International Biotechnology Leadership Camp (BioCamp) on 24-27 August 2014 in Basel, Switzerland. The 2014 Novartis BioCamp was a prestigious event that brought the biotechnology sector closer to talented students from top universities all over the world. During the three-day seminar, delegates were given the opportunity to interact with key Novartis scientists, learn about new medicines addressing unmet medical needs, understand trends and challenges in biotechnology, receive first-hand experience on starting and running a biotech company, explore career option in the Novartis healthcare and biotech industries and network with students from other countries and associates of Novartis. Â Â Â The selection of the BioCamp Filipino delegates was strictly competitive basing on academic excellence, research experience and leadership skill. So far, only 15 Filipino delegates have participated in this event since it started 8 years ago. During the past years, only two Filipino delegates were sent to the Novartis International BioCamp, accommodating only 60 slots for all countries. However, for this yearâ€™s BioCamp, the Philippines sent five delegates due to the difficulty of selection experienced by the panel of judges headed by Dr. Jaime Montoya, the Executive Director of the Philippine Council for Health Research and Development. Novartis sponsored two delegates (Arjelle Agupitan and Kin Israel Notarte) while DOST and Â DOH sponsored the other three (Alvin Bello, Jortan Tun and Gerald Ryan Aquino). 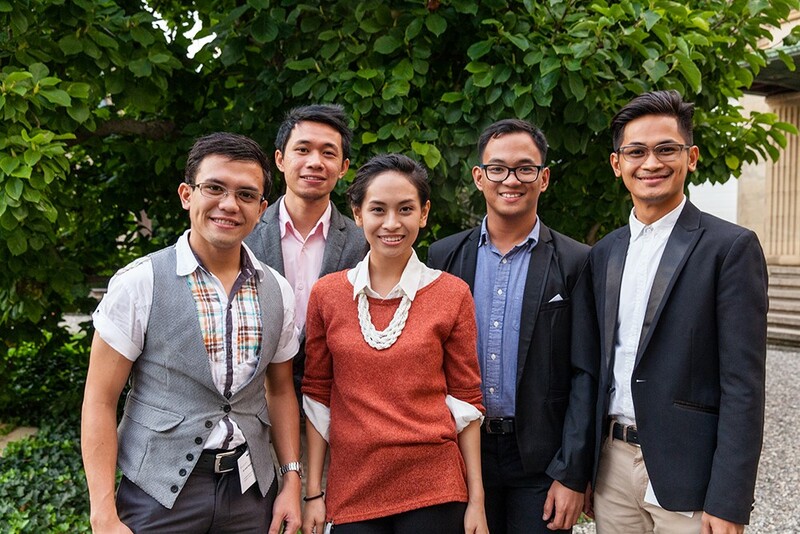 All the other four delegates are affiliates of UP Diliman. Â Â Â Currently, Notarte is a graduate researcher of the Fungal Biodiversity and Systematics Group in the Research Center for the Natural and Applied Sciences under the supervision of Prof. Dr. Thomas Edison E. dela Cruz, professor of Microbiology at the College of Science and the UST Graduate School. His research has been focused on the chemotherapeutic applications of marine algae, sea grasses and their fungal associates.